to be built by award winning builder. 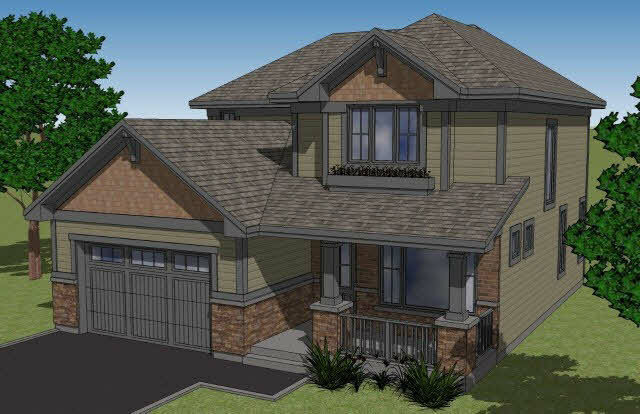 the stirling model has a gorgeous layout with an open concept design on the main level with the kitchen overlooking the great room which has patio doors leading to the optional covered deck on a conservation lot! main floor also boasts a separate den/dining room with beautiful coffered ceilings. the standard features in this home are considered upgrades in most homes such as engineered hardwood and ceramic on the main level, 9 ft. ceilings, under cabinet lighting, upgraded trim package, gorgeous ceramic tile shower with glass doors in the ensuite and the list goes on! call today for a complete package.